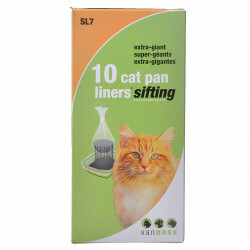 Welcome to the Cat Litter Pan Liners & Filters superstore! Cleaning out the cat's litter pan is the favorite chore of exactly no one, but it's a necessary part of having such a lovable pet. Luckily, our huge selection of cat pan accessories has everything you need to make living with a litter pan a far more pleasant experience! 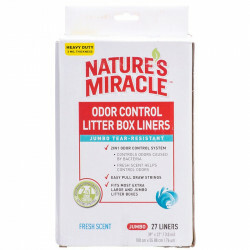 From litter pan liners and disposal systems that make cleaning and replacing litter a breeze, to air filters that automatically eliminate whatever smells the cat left behind, it's all here, ready to make your cat-loving life easier! 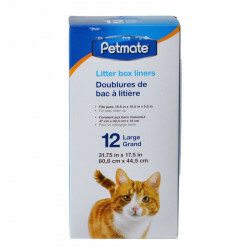 Pet Mountain's Cat Litter Pan Liners & Filters store features top quality products from the most trusted names in cat care and waste disposal, including Van Ness, Litter Genie, nature's Miracle, Petmate, Booda, and more. 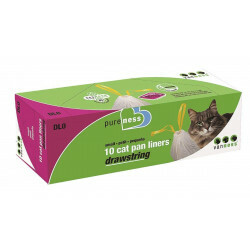 Van Ness Large Cat Pan Liners end messy cleanup and make your job easier! 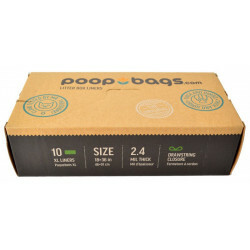 Van Ness bags are eco-friendly - made from 100% recycled materials. 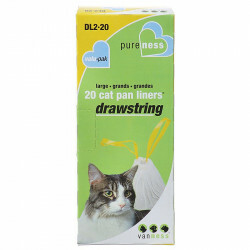 3-ply, tear-resistant plastic ensures there won't be any spills or extra messes to clean. 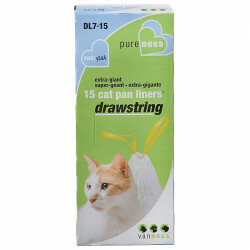 Quick and easy to install and dispose! 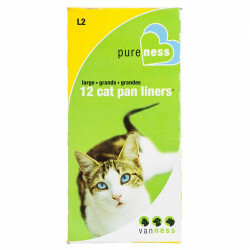 For a clean-smelling litter area, use Van Ness Zeolite Air Filter Cartridges! 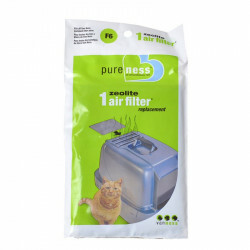 These zeolite-coated filters remove ammonia odors from the air, leaving it smelling fresh and clean. The Litter Genie Plus Cat Litter Disposal System is a quick, hygienic, clean, easy and odorless way to dispose of cat waste! 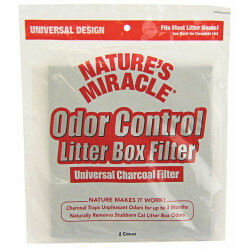 This cat litter disposal system helps lock litter and odors away and provides ultimate odor control.